Whether you cross a stream or get caught in a downpour – the Covert GORE-TEX® sock has been developed to keep your feet dry and offer the ultimate comfort and protection against the elements. Dry = warm and wet = cold. Once your feet are wet and subsequently cold, it is hard to muster the motivation to ride on. The feeling of icy coldness starts in the feet and then slowly creeps up the entire body. Shivering and discomfort chase away the joy and freedom of just cruising along. GORE-TEX® with its “GUARANTEED TO KEEP YOU DRY®” promise saves you from this misery and ensures your feet remain toasty. Outside influences, rain and cold should never prevent you from doing what you love best. And doing it for hours on end. 1 – Your feet remain completely protected against water – guaranteed! 2 – Dry and warm feet – no matter what situation you’re in! 3 – Wear the boots of your choice – the Covert Socks always fit! 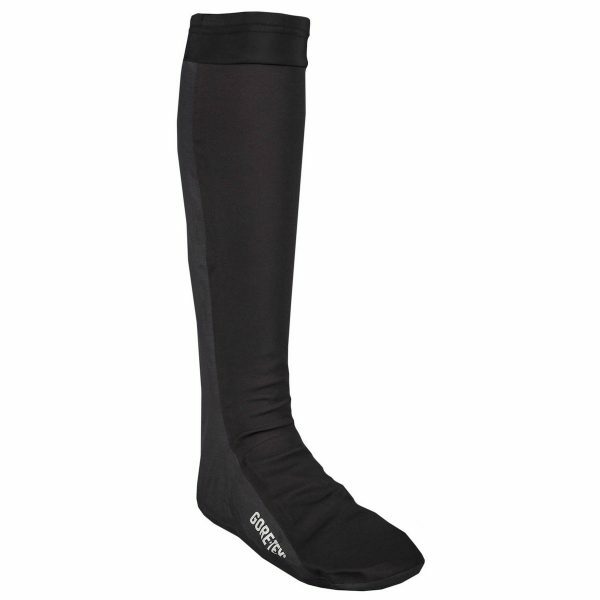 It is recommended to wear the Covert GORE-TEX® socks in combination with warm socks. This further improves the GORE-TEX® performance.